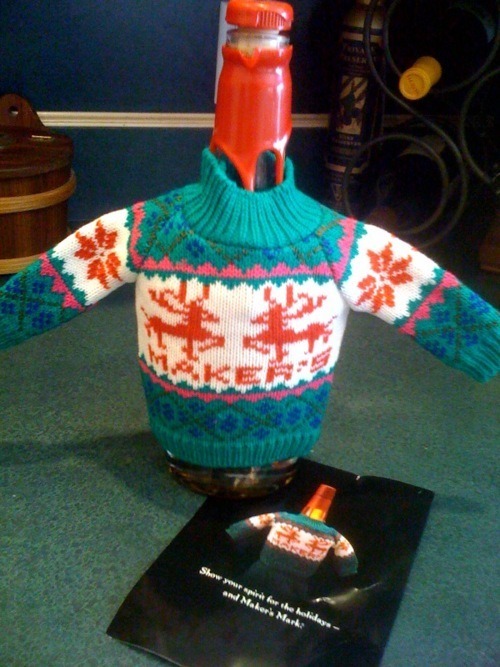 Every year at holiday time, Maker’s Mark sends its ambassadors a gift. One year it was wrapping paper; last year it was a mold to make an ice sphere for your drink (“the ultimate bourbon ball”). It also makes me laugh every time I walk into the kitchen. Warm holiday wishes indeed!